Google has announced that from today onwards, the Google Play editions of Samsung’s Galaxy S4 and the HTC One are getting updated to Android 4.4, as noted by Android Police. 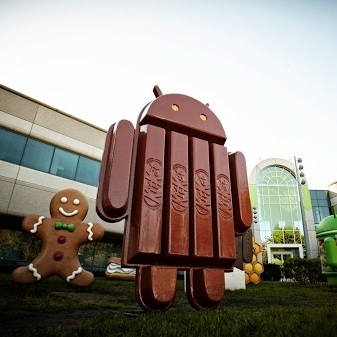 Late last month Google formally unveiled KitKat, the latest version of its Android operating system, touting it as as a “smarter, more immersive” experience with a revamped messaging interface, a built-in pedometer, improved multitasking and “full-bleed UIs” for apps. Android 4.4 first arrived late last month with the Nexus 5, and the update has been rolling out gradually to the rest of the Nexus lineup, as well as Motorola’s Moto X.